NAIROBI – Kenya says it is agreeing to normalise relations with Somalia as the “first step” of addressing their differences over the maritime borderline, which is already before the International Court of Justice. 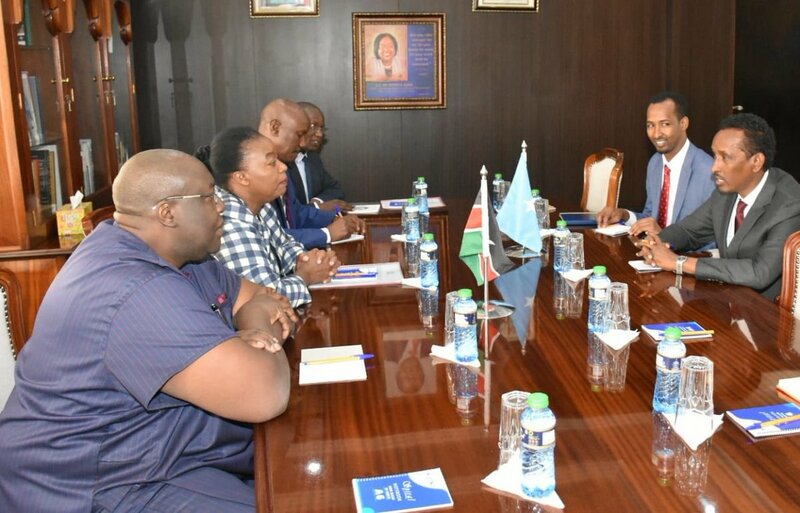 The change of tune for Nairobi emerged Wednesday, April 3, 2019, after Foreign Affairs Cabinet Secretary Monica Juma met with the Somali Minister for Foreign Affairs and International Cooperation Ahmed Isse Awad. Dr. Juma Wednesday said Kenya’s Ambassador to Somalia Lucas Tumbo and his Somali counterpart to Nairobi Mohamoud Ahmed Nur will be returning to their work stations although she did not give timelines. “We reaffirmed our strong desire to normalise relations and agreed, as a first step, to have our ambassadors return to station,” Dr. Juma wrote on her Twitter page after meeting Mr. Awad in Nairobi. The meeting with the Somali top diplomat, a former envoy to the US, was said to be on “outstanding issues between Kenya and Somalia, in particular concerns arising out of the London conference of 7th February 2019,” a reference to the event where Somalia was accused of auctioning oil blocks in an area contested by Kenya. Since the public spat, Kenyan officials have increased their ante, meeting with global leaders and publicly accusing Somalia of violating the need to await for the dispute to be determined by the International Court of Justice. 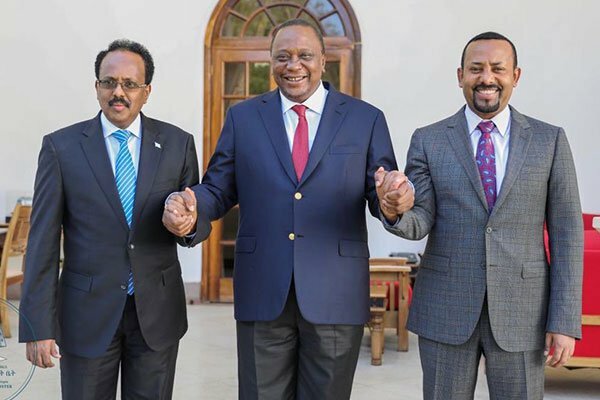 The announcement of “normalised” relations by Nairobi came nearly a month after Mogadishu announced the same after a brief meeting between President Uhuru Kenyatta and Somalia’s Mohammed Farmaajo and with Ethiopian Prime Minister Abiy Ahmed in Nairobi. “Their Excellences President Mohammed Farmaajo and President Uhuru Kenyatta agreed on strengthening diplomatic ties between the two countries. “They also agreed to have their respective ambassadors return to each country’s mission to resume their important duties, cooperation, and partnership,” he indicated on Wednesday afternoon. That meeting on March 7, an initiative of Dr. Ahmed as Igad chairman, was never formally commented on by Nairobi and diplomatic sources then indicated it had not unlocked any solutions on the maritime border row. In fact, at the time, both Dr. Juma and Foreign Affairs PS Macharia Kamau were out of the country on other official duties. And despite Kenya’s contest that an alternative means to resolve the dispute existed, the ICJ ruled it had jurisdiction and will be hearing the case from September this year. As ICJ decisions are binding between state parties involved, it means a verdict in Somalia’s favour will see Kenya lose the oil blocks.